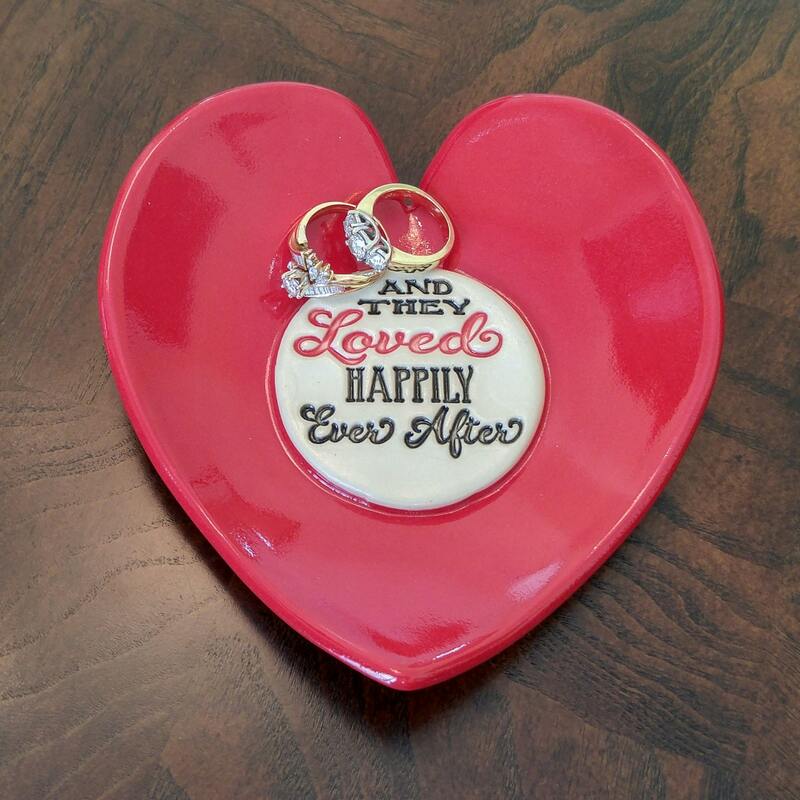 Need a unique gift for a wedding or anniversary for under $25.00? 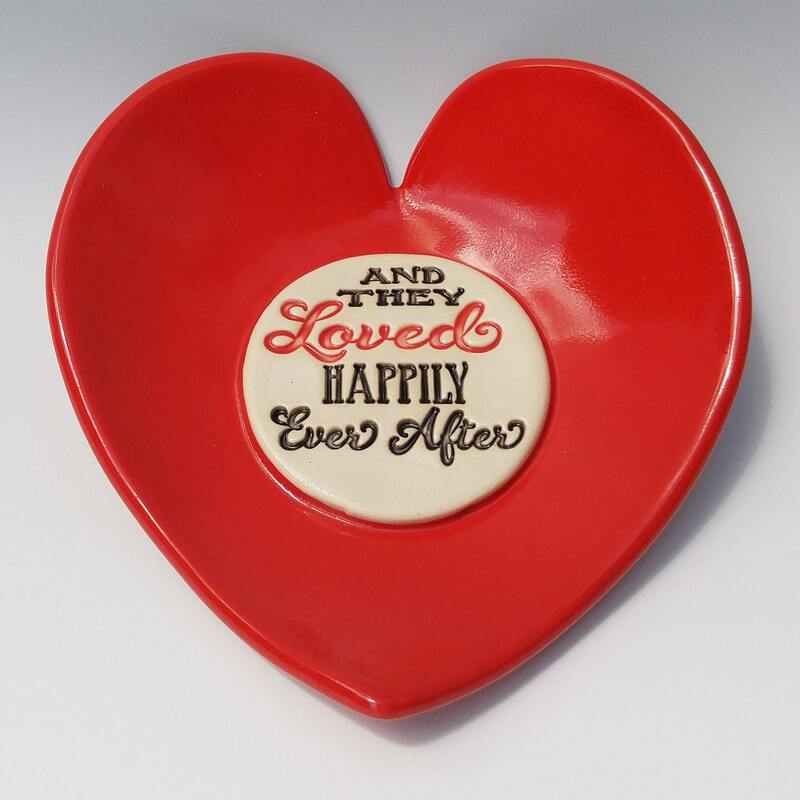 This lovely red stoneware heart dish would be cherished by any loving couple and would also make a memorable Valentine gift. 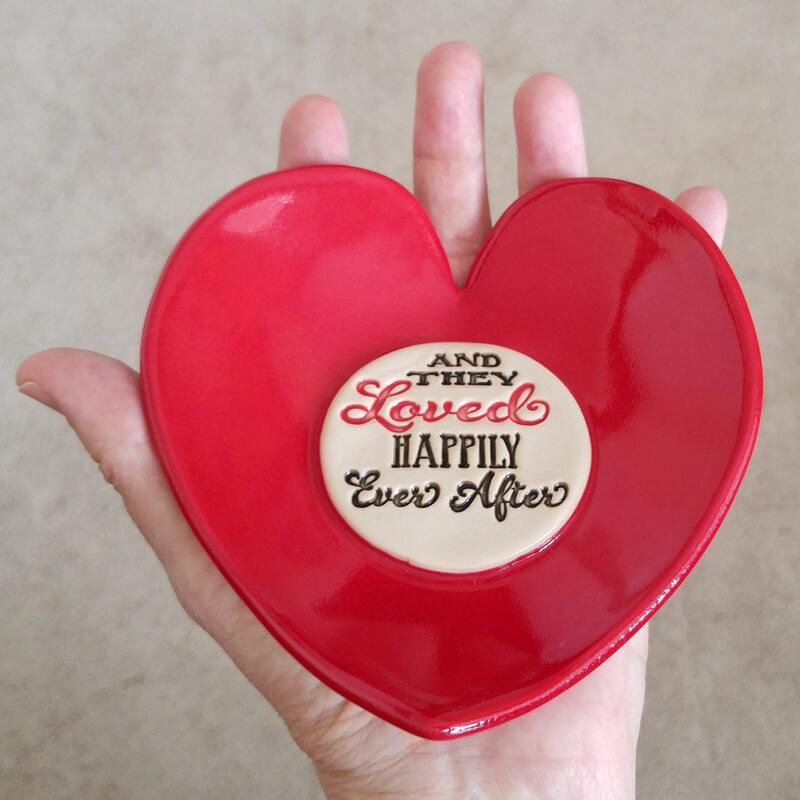 I created this inspirational dish from stoneware clay that I then glazed in bright red with black and red accent lettering. 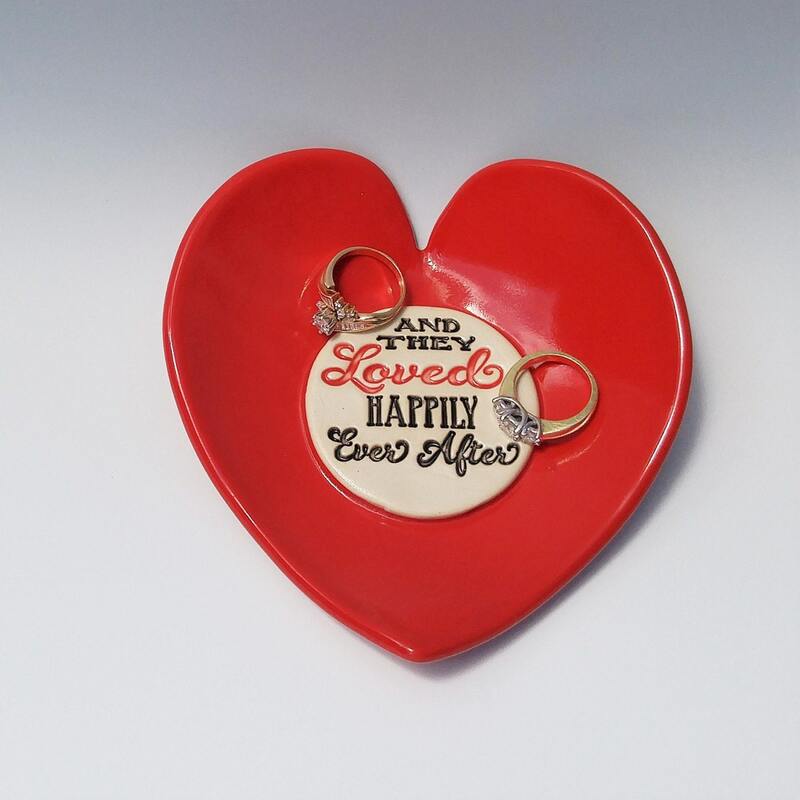 It was kiln-fired to cone 5 for lasting beauty. 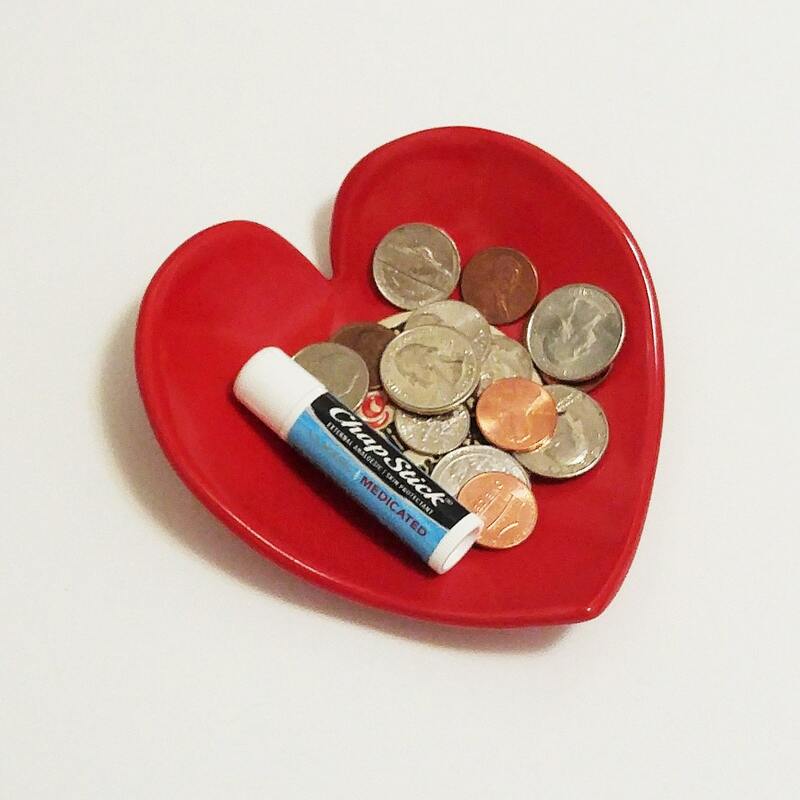 A perfect item for the bedside table to keep rings, watches or other jewelry items within reach. This ceramic dish measures 1" in height by 5" across.